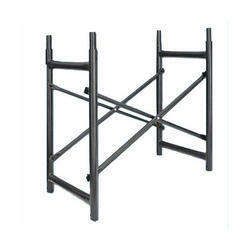 Our range of products include h frames scaffolding. We are one of the leading manufacturers, exporters and suppliers of H Frames Scaffolding. The offered chimney scaffolding cradle is very widely used for the cleaning and maintenance operations in multi floor buildings. Our supplied chimney scaffolding cradle is made from high grade iron alloy, to ensure longer serviceability and durability.